A few weeks ago, you will recall that Mikula Thalmann was kind enough to share his thoughts on full body running and core strength, in an article here on Ultrarun.in. Well I am pleased to say that my article over on Mikula’s website, The Running Mate, has just been published. In my article I focus on probably the number one question I get asked in person, via this website or through social media. Namely, what equipment should somebody new to ultra running consider? This topic is the subject of quite intense debate, with all runners having their own views and preferences. In my article I highlight the five key things that I think any new ultra runner should consider when starting out in the sport or looking to take a step up to longer distances. I would love to hear your thoughts on this in the comments below. Is there anything you think I may have missed or should have added to the list? Below, is a short exert from the article to hopefully wet your appetite. To read the article in full, please head over to The Running Mate website. This is the question I get asked all the time, what do I need equipment wise to be an ultra-runner? The flippant answer would be to say, just a pair of running shoes and a sense of adventure. While that is true, as many ultra-runners will tell you, there is a mountain of equipment you can buy, which will help make your running adventures more comfortable and safer. Going back to my flippant response, shoes are still key. These are your contact point with the ground and the piece of kit through which you drive yourself forward. After your body, they are also the one item of your equipment that will come in for the most abuse, whether you are running ten, thirty, fifty or a hundred miles. There are various considerations when it comes to running shoes but the three key considerations in my mind are fit, comfort and grip. Let’s take a look at each in turn. It sounds simple but everyone’s feet are different and for some of us our left and right feet are different too. Some have wide feet, some have narrow. Some have ongoing medical issues with their feet or long-term injuries to consider as well. Do you pronate? Are you a fore, mid foot or heel striker? Now I am by no means an expert but the one piece of advice I would give any runner, is to take the time to go into a shop and get a pair of shoes properly fitted. Most independent running stores will have a treadmill set up, which you can use to test out various shoes while in the store. Even better they will do some video analysis to check how your feet are landing in them. The best will do all sorts of amazing things with computers but you’ll generally need to pay extra for that. The key thing is to seek expert advice and identify the right shoes that work for you and your feet. Fit will play a massive role in the comfort of your feet of course but in addition to that, the make-up of the shoe, the materials used and the level of cushioning will contribute as well. If you have ever browsed websites, shelves in a running store or magazine articles, you will be aware that there are loads of different options out there, both across and within the brands. From maximal to minimal shoes. From narrow to standard and even wide fit. Super lightweight, to more rugged materials. Do you go Goretex or other waterproof lined shoes or not? All of these will play a part in the comfort of the shoe. Weight is another important aspect. It may not seem like much but if you consider how many steps you will take in a fifty-mile race, your legs and hips will thank you for even a saving of a few grams. That said, with reduced weight tends to come, in my experience anyway, reduced durability. 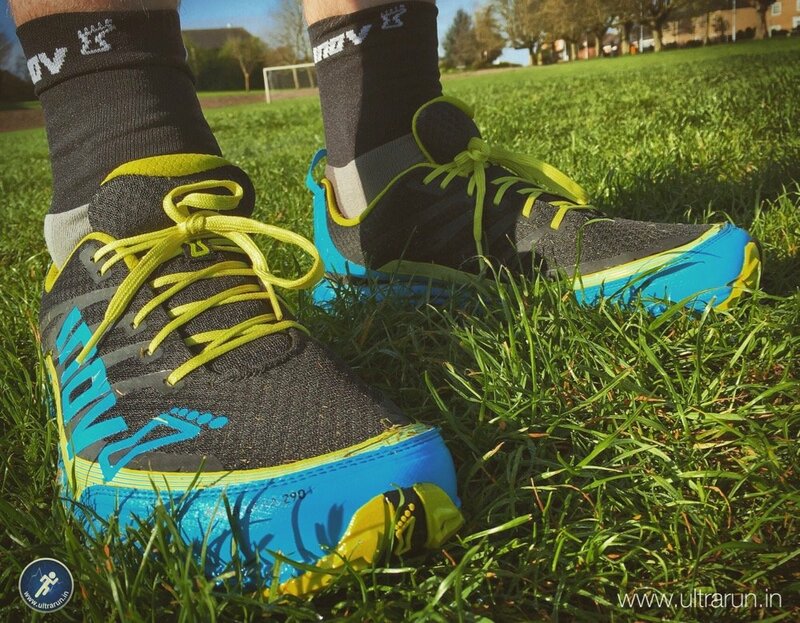 Lightweight trail running shoes – The excellent but now discontinued Race Ultras from Inov-8. To continue reading the full article, please head over to The Running Mate. 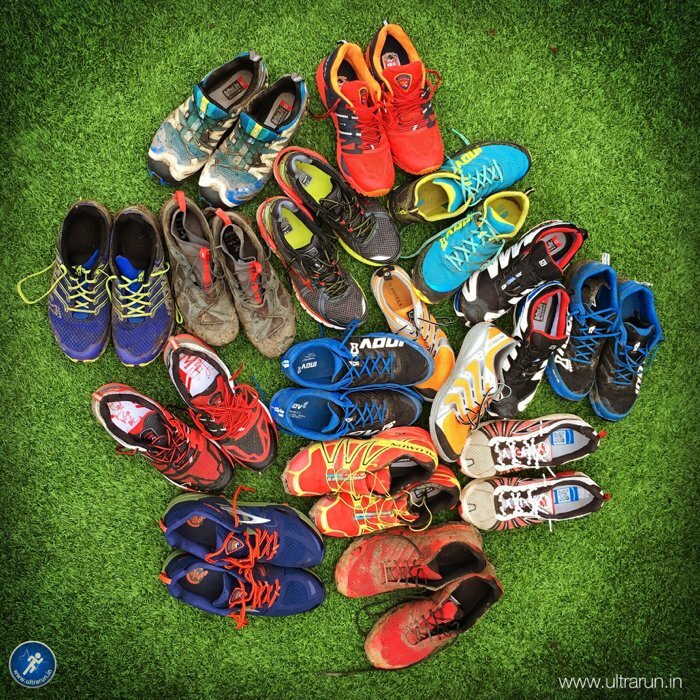 Many thanks again to Mikula for his great article here on Ultrarun.in and the opportunity to share my thoughts on equipment for new ultra runners, over at The Running Mate.